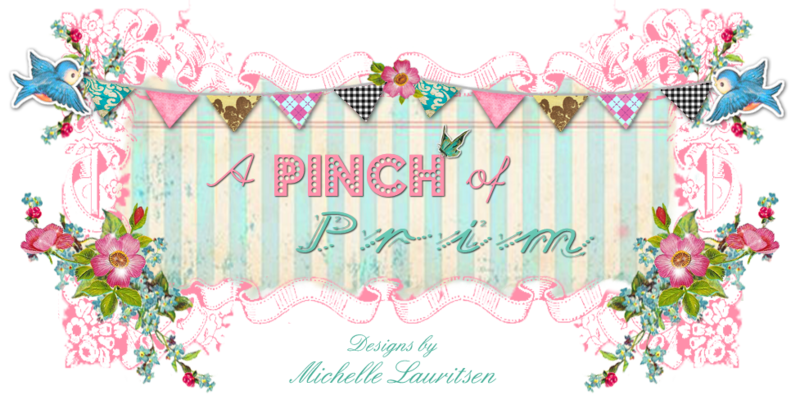 A Pinch of Prim: Surprise! Surprise! 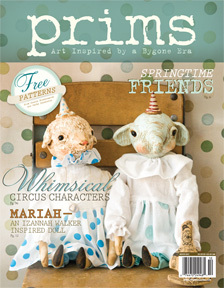 I was so surprised to receive the Winter 2012 edition of Prims magazine by Stampington and Co. in the mail saying that I had been published. I had sent in some submissions just a few weeks back, but I knew those would not make it for this latest issue. and found little miss here inside. This piece is called "Oh Easter Tree". This is one of my first pieces that I ever made. She was originally published in Prims magazine Spring 2011 issue. Oh, what an exciting day that was!! Since this latest issue is Spring related, I guess they pulled her out of their archives and featured her again. I am a HUGE fan of all their magazines, I could look at their beautiful pictures all day! I am working on a lot of projects around my house. Were updating bathrooms, I've painted a couple pieces of furniture, I've been thrifting a LOT lately. So I will have much to show you soon! Congratulations Michelle... I can see why they would RE-Feature you.... Your designs are so very pretty...and Sweet..
YAY Michelle!! You SO Deserved this!!! Super Thrilled for you my dear!! Yay Michelle!!! Glad you are being recognized!!!! So looking forward to seeing what you have for us in 2012!!! How cool!!! What a great surprise! I'm proud of you Michelle. Your work amazes me! Congrates Michele...Your work is so gorgeous, I am not surprised they are published and even archived to be republished. Looks like a gorgeous Mag as well. THIS IS WONDERFUL!!!!!! how fabulous!!!!!! congrats congrats congrats!!!!!!!!!!! you know what i think of your creations! i am just so thrilled to see you in this gorgeous magazine!!!!!!!!! oh an i am a proud owner of this sensational artists creations!!!! YEAH for me : ) sending you tons of hugs and much love!!!!! 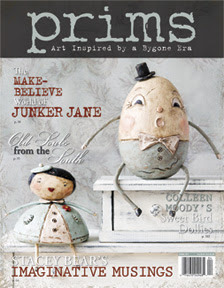 I love your work and the Prims mag is a fave of mine. I have never made a doll but I'm very interested in working more with paperclay and making figures. I hope they incorporate more tutorials. Congrats!